If there is a question of the sperm’s ability to fertilize the egg, due to either a low sperm count or poor quality of the sperm, that poses no problem whatsoever. Intra-Cytoplasmic Sperm Injection (ICSI) would be performed instead of regular In Vitro Fertilization (IVF). 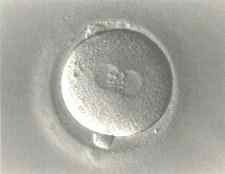 With ICSI, the eggs are retrieved the same as if you were doing conventional IVF. However, the eggs and the sperm are then fertilized in the laboratory, by direct injection of a single sperm into each egg. Three days later the resulting embryos are simply placed into your uterus with no surgery, just as with IVF. Extra embryos are frozen for later attempts at pregnancy. The availability of this Intra-Cytoplasmic Sperm Injection, “ICSI” technique (which was developed and perfected by the Brussels University and our institution in St. Louis) means that men whose sperm previously were too weak or too few to fertilize in vitro (IVF), now have no problem fertilizing their wife’s eggs. The fertilization rate per egg using ICSI is over 90% now in our blank, the fertilization rate per infertile couple is over 99% if the wife has adequate eggs and the pregnancy rate per treatment cycle is over 90% per transfer is over 60%. This is actually better than conventional I with normal sperm. This technique is very cost effective and will give you the same chance of getting pregnant as any couple with normal sperm. In fact, we now do only ICSI with all our IVF cycles because we get such a high fertilization rate, superior to just mixing sperm in with the eggs and hoping they will fertilize. Furthermore here is our history with ICSI, since we were the very first in the world to develop it. Brussels, and I showed the world how we can take a single, almost non-moving “dead” appearing sperm and int it into a woman’s egg, getting in 1992 normal embryo and a completely normal baby. So far over a million babies have been born with this technique from men who were other considered hopelessly sterile. The babies are completely normal physically, mentally, and genetically no matter how poor or miserable the sperm of the father. We are so experienced and efficient with ICSI that there are no added fees for us doing it. ICSI is just a routine part of IVF for us. the success of ICSI is very dependent on the right techniques, which we were the center to originally develop. It is easy unfortunately for labs that are in too big a hurry to either damage the nuclear (“spindle”) of the egg. We can take a man who would otherwise have to resort to donor sperm and if we can find just a few weak sperm in his otherwise sterile appearing ejaculate, it is more than enough to micro-surgically inject these few sperm into his wife’s eggs, fertilize them normally and get her pregnant. If there is absolutely no sperm in the ejaculate, we can perform a testicle biopsy, remove the few non-moving sperm that we find through a highly refined ultra micropipette, inject it into the wife’s egg and still get her pregnant. Even in testicles where allegedly there is no sperm production, we can usually (but not always) find a few sperm, which is enough for successful ICSI. We were the IVF center that first developed all these ICSI related techniques and therefore we have the most experience in the world with it. If you have had a vasectomy reversed that failed it is no problem. We can just retrieve the sperm with no pain (believe it or not from your testes) and with ICSI and get the same high pregnancy rate. Immobilizing the sperm’s tail before picking it up. Injection of sperm into the egg. Fertilized egg demonstrating the two nuclei – one from the father, one from the mother.